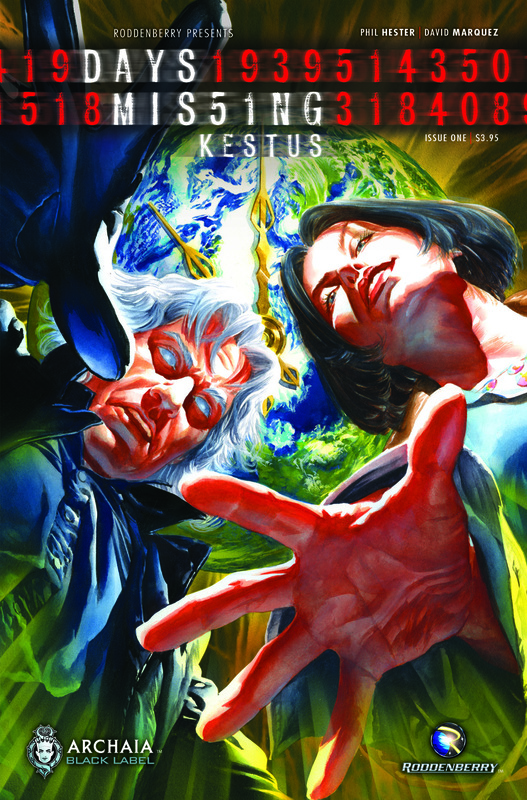 When I finished reading Days Missing: Kestus #1 I was left saying huh. It’s clearly a series that you can’t quite get the feel for in on issue and can only be judged by the total work. Published by Archaia, written by Phil Hester with art by David Marquez, the first issue very much has a “Roddenberry” feel to it. Much like the television shows that bear that name, this comic has a bigger picture to it. Archaia and Roddenberry Productions are proud to present the thrilling sequel to the critically acclaimed series DAYS MISSING. DAYS MISSING: KESTUS continues the saga of The Steward, a mysterious being whose ability to “fold” days of time has resulted in critical human events being absent from our historical record. Their existence is not remembered…but the occurrences of these days have forever changed the course of our evolution. Since humanity’s birth, The Steward has stood as a guiding force for our species. But now, he is not alone! The emergence of the ancient being, Kestus, may put everything he knows in question, and the future of those he means to protect in jeopardy. I missed the first volume of this series, so have a bit of catching up to do, but there’s a feel of an epic story here. This is very much a television show in comic book form and definitely one you can’t quite judge from one issue. The issue though is entertaining, with several twists that leave the reader to go back and rethink what they read. The issue focuses on faith, courage and leadership and in the end is a pretty entertaining read.